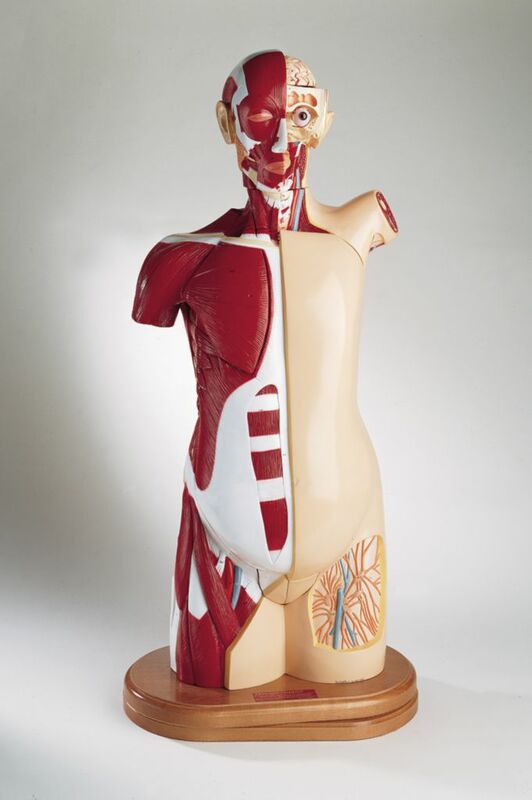 This life-size torso encourages students to learn about how their bodies function. 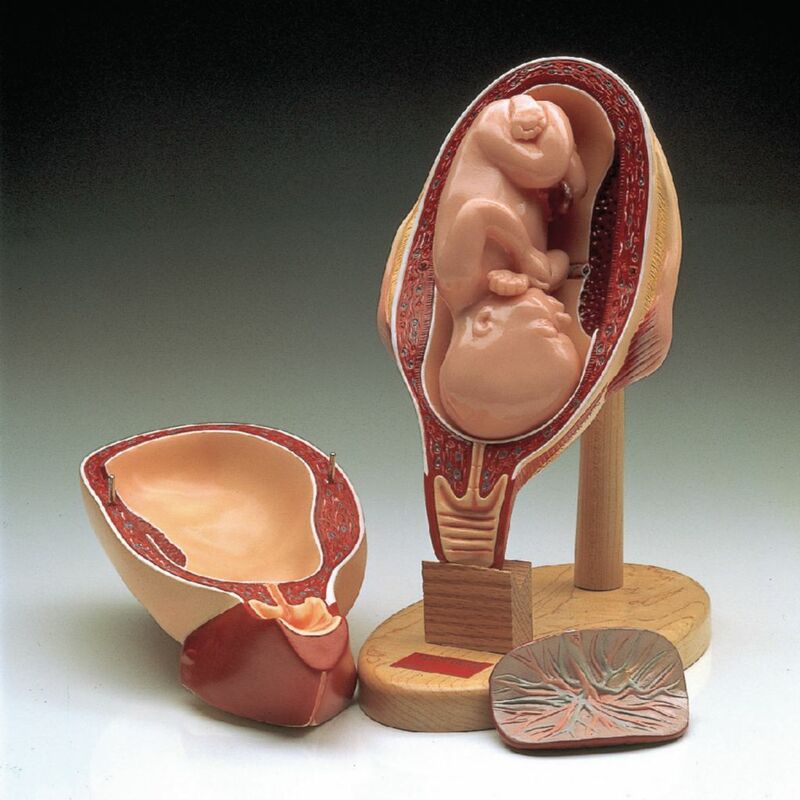 The hand-painted, anatomically correct replica offers detailed views of the skeletal, nervous, cardiovascular, respiratory, digestive, and other systems with dissectible sections of the brain (four parts), eyeball, lung, heart (two halves), liver with gallbladder, chest muscles, stomach (two halves), intestines, kidney, vertebrae, and more. It has over 600 hand-numbered structures. 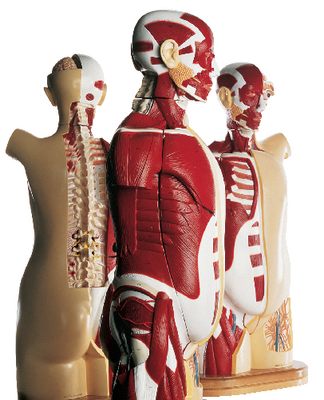 Complete musculature is featured on the right side with skin, and surface features are visible on the left. It also features quality craftsmanship, detachable breast plates, and a rotating base. 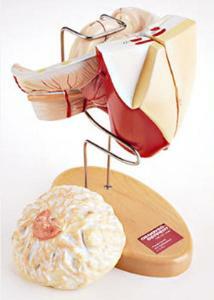 The torso includes 23 detachable parts and is mounted on a hardwood, turntable base. Models may be purchased in one of three available configurations: Sexless; Male, Female, and Sexless; or Male, Female, Sexless, and Pregnant. Individual inserts are available to convert an existing model if upgrading is desired.